As the numbers come in, 2017 is looking to be a great year for the housing market, with 2018 predicted to be even better. The U.S. Census Bureau and the U.S. Department of Housing and Urban Development report that sales of new single-family homes in November were 17.5% above the October numbers and 26.6% above last November. The median sales price of new homes sold in November 2017 was $318,700. It wasn't just a great month for new home sales, existing home sales rose as well for the third month in a row. This is great news for the housing market but also for the economy as a whole as housing plays a huge role in the health of the overall economy. Builders are often selling homes before they are built - a great indicator of demand. Current national inventory is low - just a little over 4 months of available homes. So what does this mean for you? Demand is strong and inventory remains low which could push prices higher. If you are on the fence about buying a new home it's time to make a decision before the cost of a new home goes up. One of the biggest concerns for new homeowners is the financial aspect of buying a new home. Can they afford the down payment? The monthly payments? What other costs are involved that we may not know about? Today we are going to tackle the down payment - often the largest upfront cost to buying a new home. A down payment is the money you give to the seller of the home. It is a portion of the overall cost of the home. The rest of the home cost will be mortgaged over time. For example, a typical down payment is 20%. If your home costs $100,000 then you will pay the seller $20,000 and take out a mortgage for the other $80,000. How much of a down payment you will need to have depends on your financing. Typically the higher your down payment is the lower your interest rate will be. A down payment can come from your own savings over time, the money you make after selling your current house, or from gifts/grants from others. 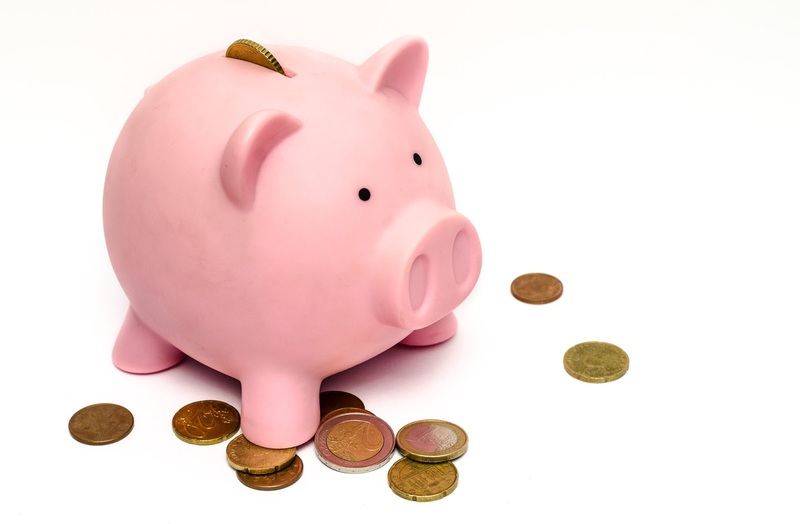 There are many ways to begin saving for a down payment such as setting aside a little money each month, saving any tax refunds or gifts, set up automatic transfers from your checking account to a savings account with interest. Remember your end goal - a brand new home for your family. This makes the saving process a little less painful and reminds you of the big payoff in the end! If you're looking for some gifts for the new homeowner in your life, we have you covered this Christmas! Here are a few of our favorite options for all the new homeowners on your list. These creative gift ideas are always a hit. Whether it's a variety of cleaning supplies, or a pizza kit and Redbox gift code, you can use your imagination to come up with a fun theme for the new homeowners. Maybe a basket filled with basic tools or a kitchen themed basket full of their favorite snacks! Use your favorite online photo service to create some wall art for the new home. This can be a photo of the exterior of the new home, the family name and new address or a favorite quote about what the joys of home. Since it is the Christmas season, get a new home ornament for the tree with this year's date. 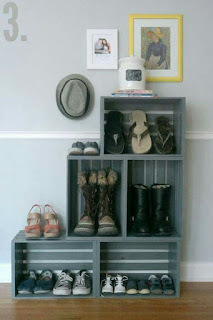 It can be something simple or incorporate a photo of the home. Make the new homeowners nice and cozy this winter with some practical gifts like a throw blanket or candle. Christmas decor is always a welcome addition to a new home. Gifts for the kitchen are always a hit. Maybe a personalized cutting board with the family name, a new pasta pot with pasta and sauce included. Or gifts for entertaining in the new home such as a cheese board or dessert tray. Be creative! The South rarely experiences significant snowfall and when it does most schools, government offices and employers close to keep more people off the road. Melting snow mixed with overnight freezing temperatures can lead to icy roads which are extremely dangerous. 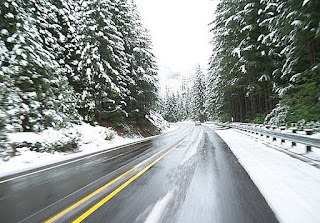 If you can't stay off the road here are a few ways to drive safer in inclement weather. 1. During the winter months keep at least half a tank of gas in your car at all times. You don't want to get stranded in snowy or icy conditions. 2. Once temperatures dip you may see your "Low Tire Pressure" light come on. Don't ignore this! It's important to keep your tires properly inflated for safe driving. 3. If you warm up your vehicle before you begin driving - never do this in an enclosed space such as a garage. This can lead to carbon monoxide poisoning. 4. When driving give yourself plenty of time to accelerate and then come to a stop. Slowly accelerating and decelerating will make it less likely that your car will skid. 5. If you do find yourself skidding - don't panic. Take your foot off the gas and don't slam on the brake. Steer your car in the direction that you want to go. 6. 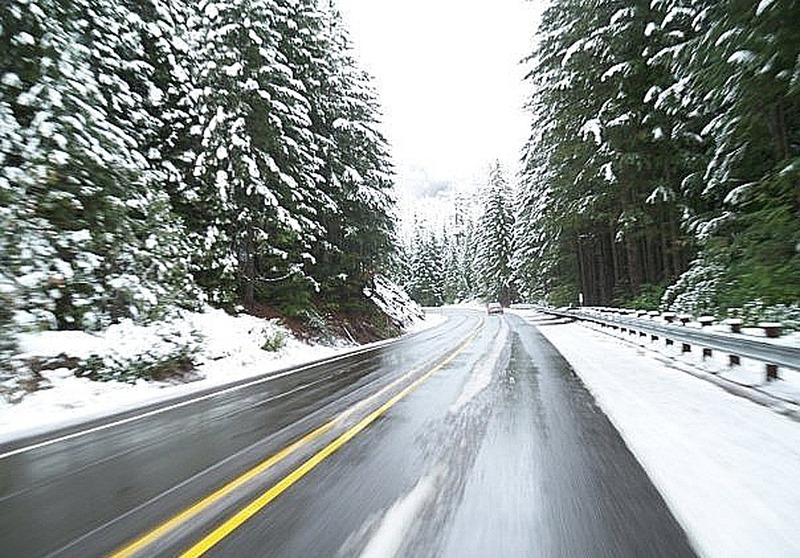 Do not use cruise control when driving in winter weather and avoid using the parking break when possible. 7. If you do get stranded, stay with your car which will provide some shelter. Signal for help by tying a brightly colored material to your antenna or hang outside your window. 8. When packing for a winter road trip be sure to include blankets, bottled water, flash light, first aid kit, ice scraper and snacks. December may be known for a lot of things but buying a home is not one of them. 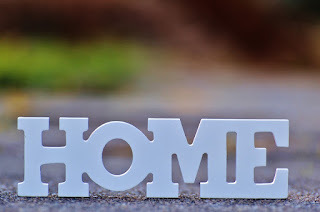 Peak homebuying season typically occurs in the spring and summer when the days are warmer, there's more sun, and buyers are out ready to make a change before the school year starts again. If you're tired of dealing with competition when looking at your favorite homes, December is the time to shop. Less competition means more of a chance of getting the home you want! If you close before the end of the year you'll also experience the tax benefits of buying a new home such as deducting mortgage insurance, loan points or property taxes. You may get a deal on your loan with lenders looking for business during the lean winter months. 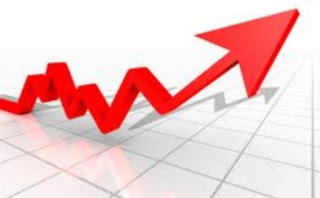 You'll also get quicker loan processing with fewer mortgage loans going through in December. Mortgage rates remain historically low but are rising. Take advantage of the low rates while they are still around! A Christmas tree is often the centerpiece of our home holiday decor. So how do you pick the right one? The one with the best smell? The most fresh? The best color? 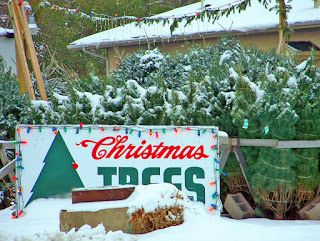 Here are a few ways to find the best tree this year and have long lasting beauty all through the Christmas season. 1. Check the freshness of the tree by bending a needle in your fingers. Fir species should snap and pine species should bend. 2. Gently hold the tree in the middle and tap the cut bottom on the ground. A few needles will fall off. 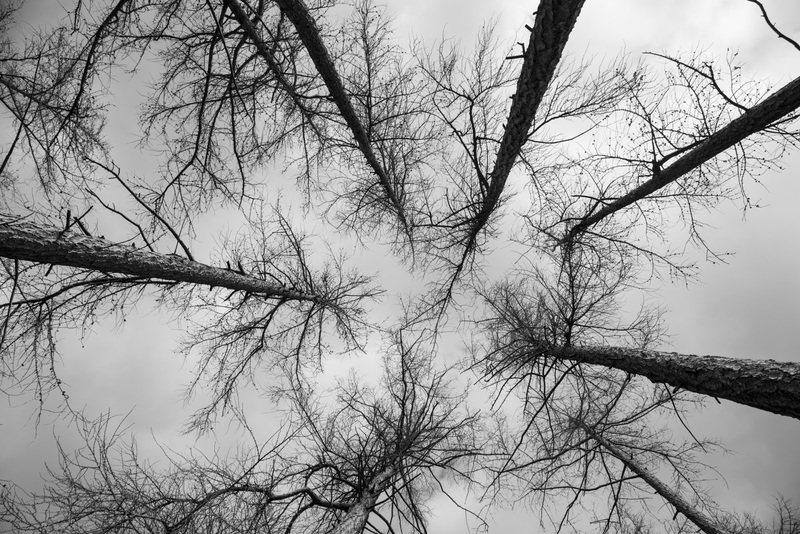 If an avalanche of needles fall off you may have a tree that's not so freshly cut. 3. Measure before you buy! Know your ceiling heights and the width of the space you want to put your tree before you pick the perfect one. Before you leave the lot, have the attendant make a fresh cut in the bottom of the tree. When you get the tree home fill up the tree stand with water. Keep it full - checking several times a day for the first few days. Avoid placing the tree near a heat source like a fireplace or vent. This will dry out the tree prematurely. Protect your floors with towels or a waterproof tarp. There's so much to think about for Thanksgiving - the appetizers, breads, turkey, sides, and desserts. Obviously those are important pieces of the meal but what about to drink? 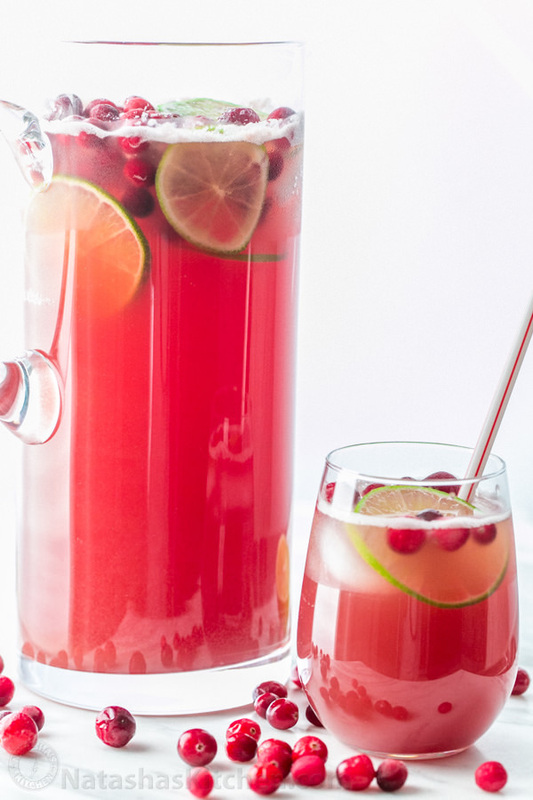 A sparkly punch or cider can really take a meal from wow to WHOA! Here are a few easy, non-alcoholic ways to create magical Thanksgiving drinks. Stir together and add chunks of fresh apple! Stir together and add 3 scoops (or more) Raspberry sherbet. Garnish with fresh raspberries. Thanksgiving is just a little over a week away! While there are plenty of tried and true ways to decorate the inside of your home to make it warm and inviting - what about the outside? Especially on those cold, gray days! Start with what you can control. Your entryway is the first impression of your home. While the plants may be bare you can liven up the space with some greenery on the door, white lights and even some outdoor furniture pieces and pillows. Incorporate pops of color from red berries or bright orange leaves. Also check local nurserys and hardware stores for potted arrangements suitable for cold weather. If you're really feeling the remodeling spirit - consider updating your front door paint to something with more color- a deep red or blue! Don't forget to keep your yard maintained - rake the leaves, pick up fallen branches and put away the summer items till next season. What ideas do you have to make your winter yard for appealing? 1. Purchase back up items for your guests - toothbrushes, toothpaste, shampoo, conditioner, headache medicine, bottled water. Your house guests will appreciate not having to ask! 2. Everyone sleeps at different temperatures so have some options available. A box fan for the hot natured and some extra throw blankets for cold feet! 3. 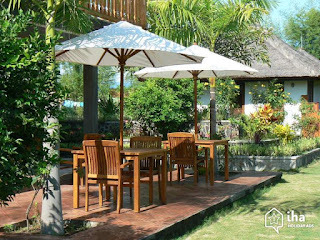 Have your wi-fi password readily available for guests to see. Also provide any instructions for accessing electronics or setting alarm clocks. 4. If you have to work or won't be around for your guests, leave them a spare key so they can go in and out themselves. Provide maps or brochures on fun things available around your town. If you already have activities planned as a family, create an agenda so everyone knows what is happening and when. 5. If you don't have time to clean the whole house focus on these key areas: kitchen, hall and guest bathrooms, guest room, main living room floors - windows are an extra bonus! 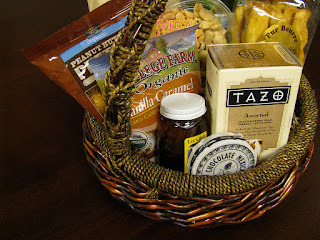 What do you do to prepare for holiday guests? Colder weather doesn't mean spending more on energy costs to stay comfortable. There are lots of ways you can keep warm without pushing up the thermostat and seeing those costs rise with it. 1. Open your curtains and blinds during the day to let the sun's warmth in but close them up at night to keep the heat trapped inside. 2. Make use of blankets, warm rugs, flannel sheets and layers! 3. Reverse your ceiling fans to get them blowing the warm air back down from the ceiling and on to you! 4. If there are rooms in your home that you rarely use - close off the vents to keep the warm air going to the most trafficked areas of the home. 5. 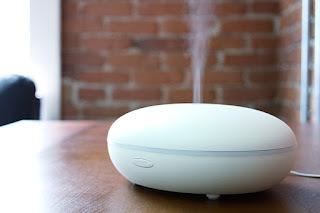 A humidifier adds moisture to dry winter air, making it feel more comfortable. Use in the rooms you spend the most time in and cut back on the heat. A rule of thumb for winter heating is to keep the thermostat at 68 degrees while you're home and try to make it cooler at night depending on your sleep preferences. 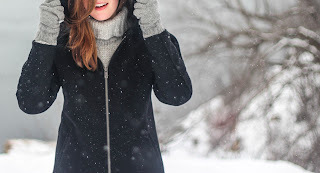 What do you do to stay warm without breaking your winter budget? Along with the beautiful Fall weather and cooling temperatures comes something no one is a big fan of - flu season. Flu season begins in October and lasts in May, typically peaking in February. Vaccines are one way to potentially stop from contracting the illness but there are other measures you should take to make your home a hostile area to flu germs. 1. Have tissue boxes and trash cans in each room. 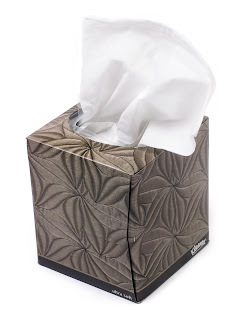 Encourage sneezing and coughing into tissues. Make sure there is easy access to trash disposal. 2. Stock up on soap and hand sanitizer. 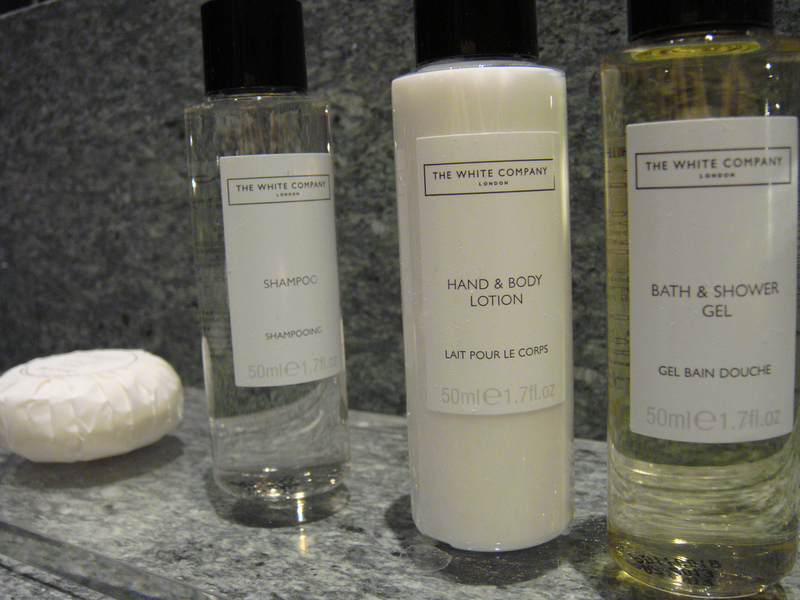 Good old-fashioned hand soap is the preferred method of keeping clean but hand sanitizer will work where needed. 3. Watch out for these germ hot spots and clean regularly: cutting boards, sponges, desks, floors, toilets and sinks. Germs can live for several hours on hard surfaces so disinfect door knobs, light switches and remote controls. 4. Keep a healthy lifestyle by drinking lots of water, eating fruits and vegetables and getting your exercise. Need to sell your current home so you can move into your brand new dream home? Don't worry if you missed the typically hot spring market. Fall can be a great time to try and sell a home. 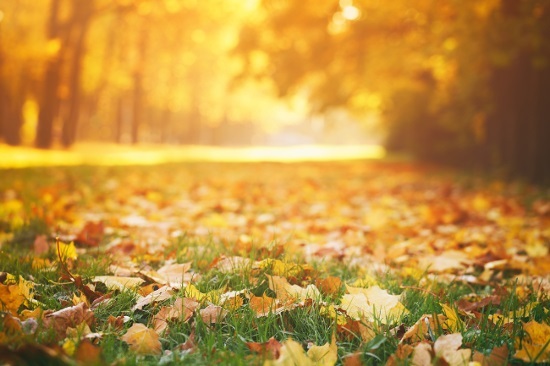 Consider these helpful tips for selling your home in Autumn. 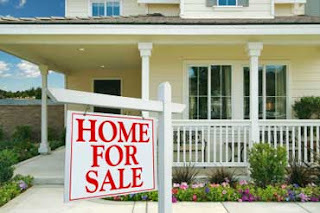 - Fall is the second best time to try and sell your home. People are back from summer vacation and the holidays are still far enough away to keep potential buyers looking. 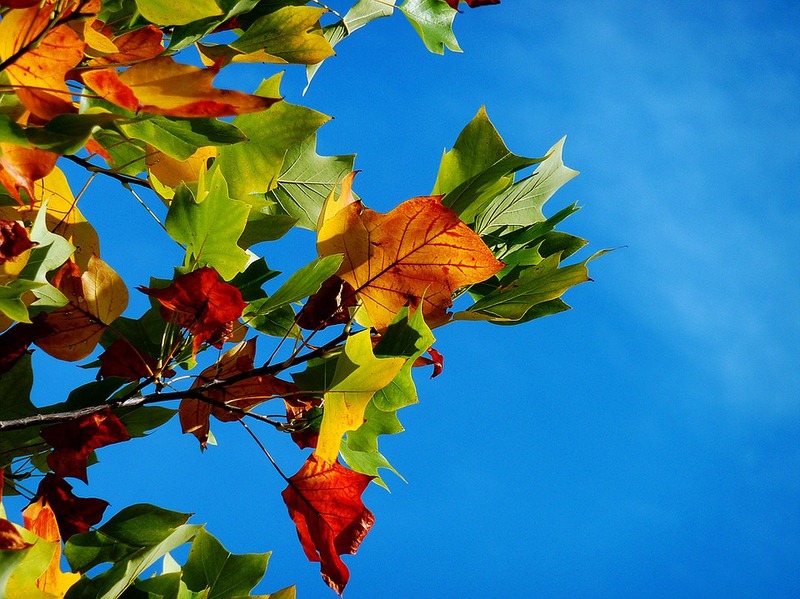 - Make sure your home has curb appeal by raking up any leaves or fallen branches. Dress up your porch and add some color with yellow or orange mums. Clean windows to make them really sparkle! - If you're selling a home with a fireplace, make sure it's cleaned out and ready to be inspected by potential buyers thinking of cooler temperatures. Let your agent know they can turn the fireplace on during a showing. - A fireplace or candles are also a good way to add some extra lighting for shorter days. Make sure all the lights are on if you are showing a home in evening when it begins to get darker earlier. - Make your home feel cozy with subtle scents of Fall, some well positioned throw blankets, and limited Fall decor. Don't go overboard, let the buyer really see the home - but in a cozy atmosphere. - No matter what time of year, make sure your house is priced competitively. If you need to sell before the Holidays you don't want to scare away potential buyers with an overpriced home. Some of the best memories are made in the kitchen. Halloween is another fun opportunity to get your kids involved in the baking process before all the treats are devoured. 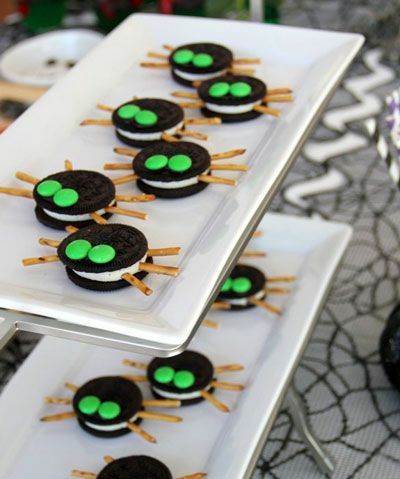 Here are a few easy and spooky snacks for your little monsters. No oven required! Simple wrap up some lolly pops for a fun and haunting treat! M&M's and Pretzels create the perfect creepy spider cookies! Who couldn't use a little extra cash on hand around the holiday season? Prepare your home now to cut down on energy costs as the weather gets cooler with these easy DIY projects. For most of us, our water heater can be found in the garage - a place not well insulated against winters cold. Help your water heater work less and save money on wasted heat with a few insulation tools. Insulating your water heater could reduce heat loss by 25%-45% and save you about 7%-16% in water heating costs, according to the Department of Energy. Insulate your tank with a pre-cut jacket designed specifically for water heaters. If you have a newer tank that is labeled to already have R-16 insulation installed internally, then additional insulation is not needed. Frozen garden hoses can actually bust interior pipes by increasing the pressure in the pipes. As part of your winter home maintenance, disconnect and drain your garden hoses. Use an indoor valve to shut off and drain pipes leading to outside faucets. to help your home and wallet have a better winter season! Even if the temperatures are still a little on the warm side - Fall is officially here and it's time to enjoy the cozy warmth of the season! Here are a few ways you can make your home a little more cozy -- without breaking the bank! 1. Bring out the blankets! Lay blankets on chairs, the ottoman or even on the porch! 2. Use candles to create a warming atmosphere. Whether real or battery - the lights and scents of candles make the early dark evenings a little brighter. 3. Utilize sting or holiday lights to brighten up a mantle or fireplace. Clear lights will work all season long. 4. Incorporate a variety of textures in your throw pillows -- knit, shaggy, smooth and velvet. 5. Make your own fall scents by simmering a pot of orange peels, cinnamon sticks, vanilla and apple slices. Don't forget how the perfect bowl of soup and crusty bread can really warm you up from the inside out! Fall is an important season in the life of your yard. This is the time to undertake several projects that will ensure a healthy and vibrant landscape in the spring and summer. Now is an important time to fertilize your yard. It will shorten the brown, dormant season and help repair any damage done over the summer months. Continue to mow until the grass has finished growing for the season. Fall is a good time to overseed - helping cover any bare patches when the grass begins to grow again. Dethatch or aerate your lawn to remove the layer of dead leaves or roots that may cover the healthy grass seedlings. Continue to water your lawn especially if rains have been scare. A well watered lawn will do better during the harsh winter months. If you're looking to plant some trees or shrubs - Fall is a great time! Newly planted trees and shrubs will continue to grow in the warm soil, even after air temperatures have begun to cool. Make sure to thoroughly water the new plants. Fall is also the time to plant spring season flowering bulbs such as tulips, daffodils and crocus. Some work and preparation now will lead to a beautiful yard come Spring! There's something about Fall that captures our imagination. The cooler weather, the changing leaves, the smell of fireplaces...it's a time we all seem to love! Here are a few ideas for creating your Fall bucket list to make sure you get everything out of the season that you can! 5. Decorate your home and porch with fall decor - leaves, pumpkins and scarecrows! 10. Rake a pile of leaves and jump in! Over the last several days we've all seen the devastating photos of the destruction in Houston and Louisiana. While the situation may seem overwhelming and the needs just too great - there are many ways you can help. Here is a brief list below. Other ways to help include donating blood and diapers which are not provided by most relief organizations. To avoid scams make sure you go directly to an organizations website to donate, do not follow an email link no matter who sends it to you. Be wary of opening attachments claiming to be ways to help as they may contain malware. Most importantly, recognize that the relief and recovery efforts will take months or years. Even as the news cycle changes be aware of the needs and ready to give when you can. 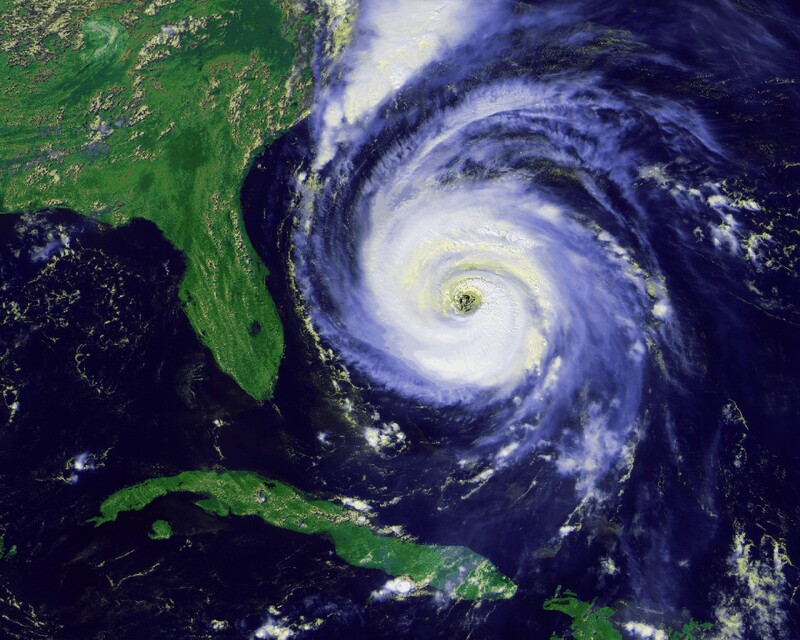 With the first hurricane of the season set to make landfall in Texas, it's a good time to go over your own storm preparedness supplies and family plan. Stay informed to stay safe. Keep up with the latest in storm path predictions and recommendations. It is always better to be safe than sorry. Most of us know that it's routine home maintenance to change your air filters on a regular basis. Yet we still fail to do it on time or with any real thought about why we're doing it. Air filters not only make your home HVAC system more efficient, they also make the air your family breathes cleaner and safer. - Air filters use synthetic fibers to trap pollutants and dust in the air - keeping them from entering your home. - You get what you pay for. The cheaper air filters are mainly designed to allow for the efficient running of your heating and air conditioning but do very little to remove pollutants from the air. They must also be changed more frequently. - Pleated air filters remove about 45% of home pollutants while high efficiency air filters remove over 80%. - The air filter that removes the most irritants and pollutants from your home is the True HEPA filter - removing almost 98% of air pollutants. The main drawback is that these type of filters do not work for every home system - only those with a whole house filtration system. Keep your home cleaner and your family healthier by choosing the right air filter for your home. One of the major benefits of buying a new home is the new technology built into the home through both the construction process and use of advanced appliances or systems. Programmable thermostats are one of those advances in technology that improve both home comfort and efficiency. Managing your heat and air conditioning needs can be a huge help in the face of rising energy costs. Programmable thermostats allow you to set a heating and cooling schedule around your family's schedule. What does this mean? That your home doesn't need to heat or cool while no one is home but can still be comfortable when you need it to be. That it will adjust incrementally to ensure your night temperature is how you desire it. It means that while your home is unoccupied you aren't paying to heat or cool it. 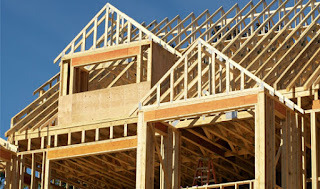 built into your new home can decrease your energy costs and increase your home comfort. The kitchen and master bath often get all of the attention when it comes to the "wow" factor in a new home. But once you're moved in, there is one room that may be more important than any other - the master bedroom. Getting a good nights sleep is vital for your health and well-being, especially after a big life event such as moving into a new home. So how can you make your new master bedroom a sleep sanctuary? 1. Keep it dark. Make this one of the first rooms that gets window treatments to block out the sun and heat. 2. When setting up your electronics (chargers, cable box, modems) try to position them in a way that their lights are not pointing toward you and possibly disrupting your sleep. 3. Figure out your best sleep temperature. The rule of thumb for sleeping is to keep the temp at 65 degrees. Make sure you don't have too much or too little bedding that will wake you up at night. 4. If you have outside noise that wakes you up at night, invest in sound machine or fan for white noise. 5. Have plants in your room to improve indoor air quality. Certain scents such as lavender and vanilla are natural sleep enhancers. 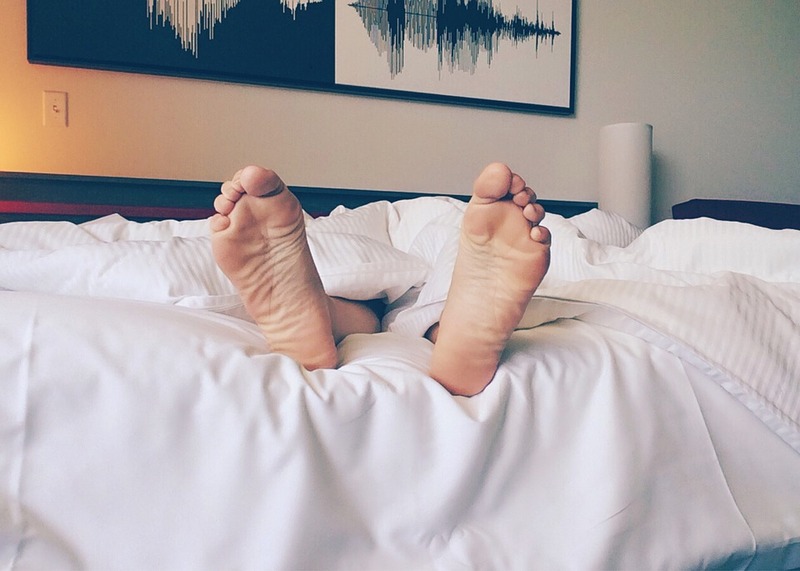 What do you do to create the perfect sleep environment? There's an air of excitement (for parents?) when the back to school supplies arrive on store shelves. A new school year is a time for a fresh new start and an opportunity to get the kids on the right track before the homework comes rolling in. 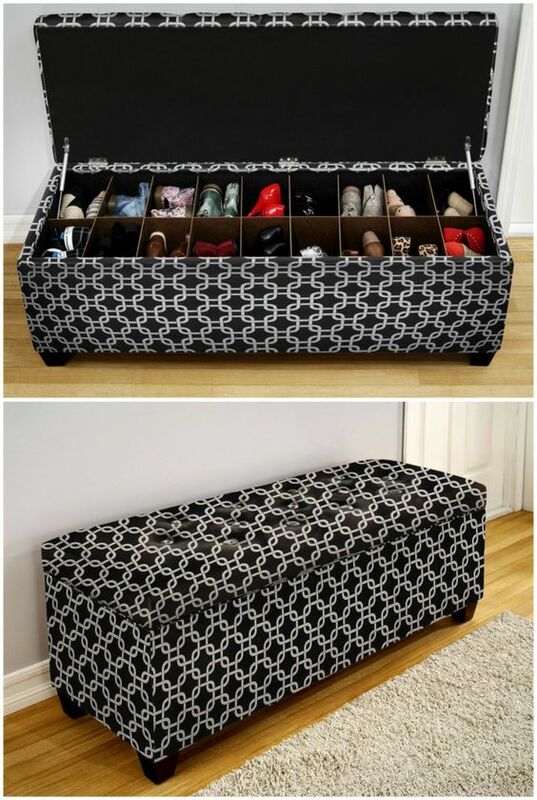 Here are a few ideas to make life a little easier or more organized for the new year. 1. Plan out a week's worth of outfits and hang them in the closet using a hanging sweater organizer. Label each compartment by day of the week. 2. Create a drop zone for backpacks and folder for paperwork that needs to be signed and returned. 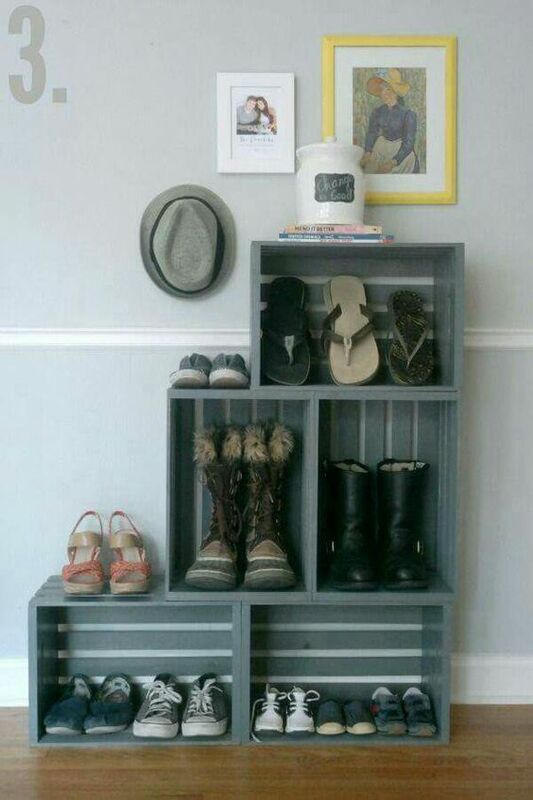 Hang bookbags near the front door and keep school shoes underneath. 3. Before the week gets started pack up baggies or tupperware of snacks that can be easily grabbed and thrown in lunchboxes or grabbed on the way to after school activities. 4. Create a wipe off calendar system using different color markers for each child. Put the calendar in a location easily seen by the whole family. 5. Make time for family time. Don't let the busyness of the day keep you from connecting as a family. Talk about each other's day and allow time for fun! The way you care for and treat your lawn will vary with the seasons. In the summer, it's important to be aware of how the high temperatures and possible lack of rain can affect your grass. Here are some ways you can make life a little easier for your yard during the dog days of summer. 1. Let your grass grow a little longer. The roots will grow deeper into the soil and the longer blades will help sustain the existing moisture. 2. Use a mulching lawn mower instead of a bagging mower. Allow the mulch to settle back into the lawn to keep the grass cooler and trap moisture. 3. Cut grass in the early mornings or evenings. 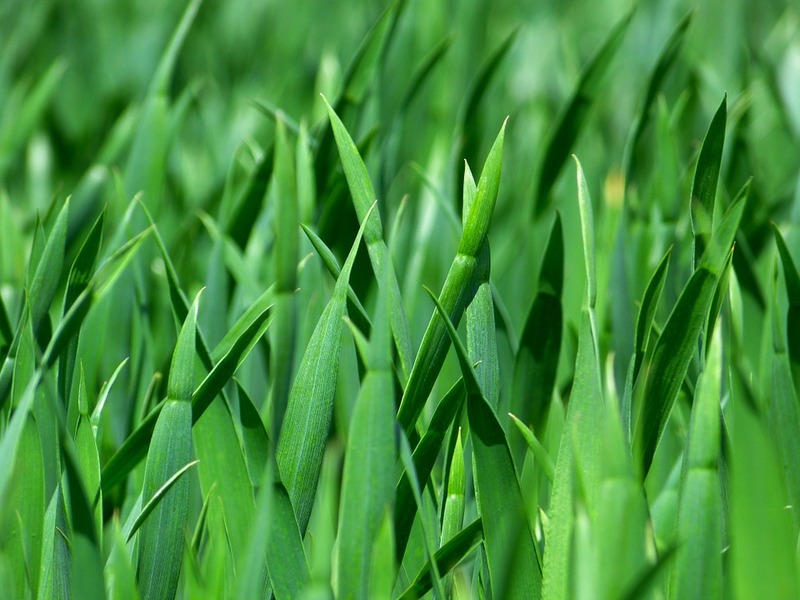 Freshly cut grass is more likely to be damaged by the sun's rays. Make sure your blades are sharp so as not to fray the grass. 4. Don't forget to water! Most lawns need about an inch of water per week. Try watering in the early mornings or evenings to prevent losing moisture to evaporation. What tips do you have for keeping your lawn green in the summer? It may seem strange but the hot summer days can affect more than just your lawn and landscaping. It can take a toll on your kitchen appliances as well. The heat can cause your refrigerator to run harder than normal to stay cool - affecting your utility bill and your wallet. 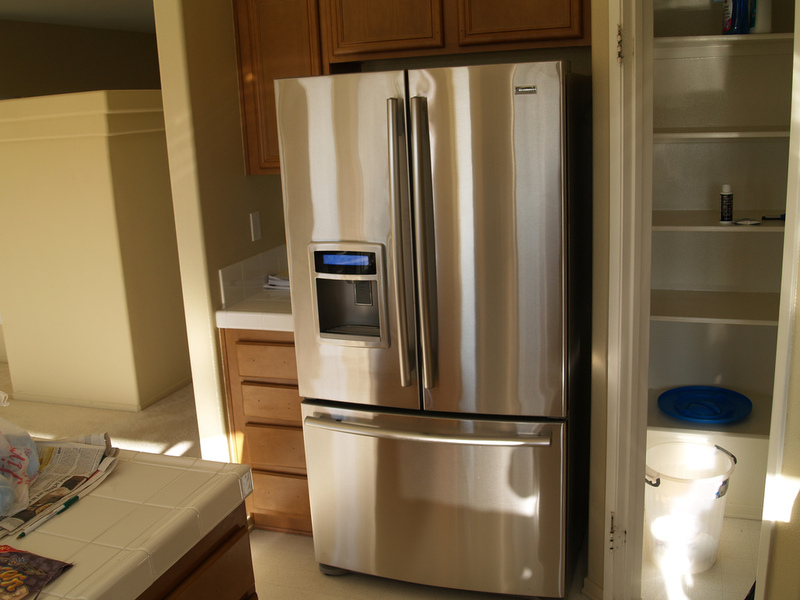 Take these steps to help your refrigerator stay cool. Keep your refrigerator in a cool spot in your home (not the garage) and make sure there is some space around it for heat to go and air to circulate. Clean your coils regularly. Consult your owners manual for more information. Keep the front grill dust free as well. When you leave the house, set the thermostat at a reasonable temperature so the home doesn't get too hot and then have to cool off fast when you return. Uncovered food can release moisture back into the refrigerator. Keep food covered at all times. Don't overload the refrigerator. Only store what needs to be kept cool. 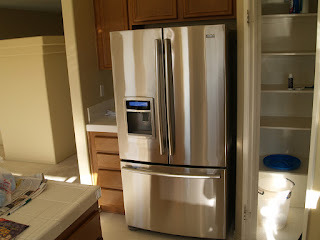 Your most perishable items should be stored in the refrigerator itself, not the door. The temperature of the door will fluctuate the most. It's the 4th of July weekend! Time for fireworks, BBQ's and trips to the pool, lake or beach! As much fun as the 4th of July can be we want to make sure you review these safety tips before beginning your celebrations. Staying safe is the most fun of all! 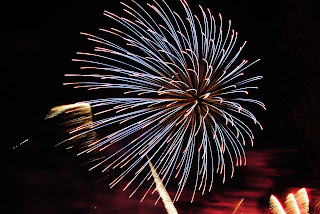 If attending a community fireworks display use extreme caution when driving and parking. Look for pedestrians. 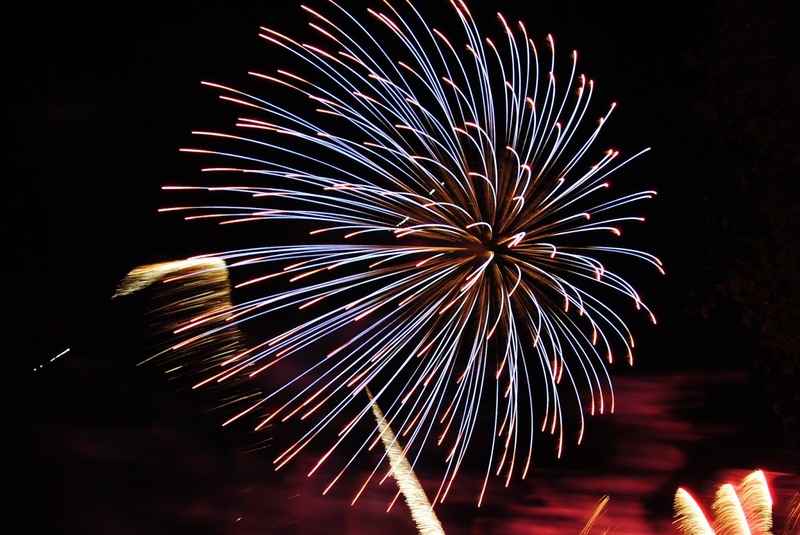 Follow some basic safety tips and make sure this 4th is the best celebration yet! Taking your shoes off in the house is one of those often talked about but seldom done household rules. It's just too easy to run inside with your shoes on and go about your day. A new study by a professor of pharmacy at the University of Houston finds that the bottom of our shoes is one of the dirtiest surfaces around. Shoes carry dirt and a host of bacteria that can cause infection and disease. 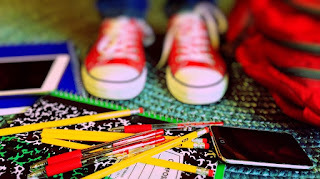 Wiping your shoes on a mat is a start but not good enough as you may just be picking up whatever the last person left on the mat. 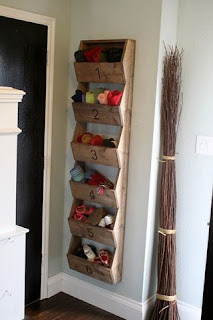 So what to do with those shoes at the door? Here are a few ideas thanks to our friends at Pinterest. Enjoying the outdoors doesn't mean having to learn to coexist with bugs and pests. It also doesn't have to mean spraying your home with expensive and potentially harmful chemicals. 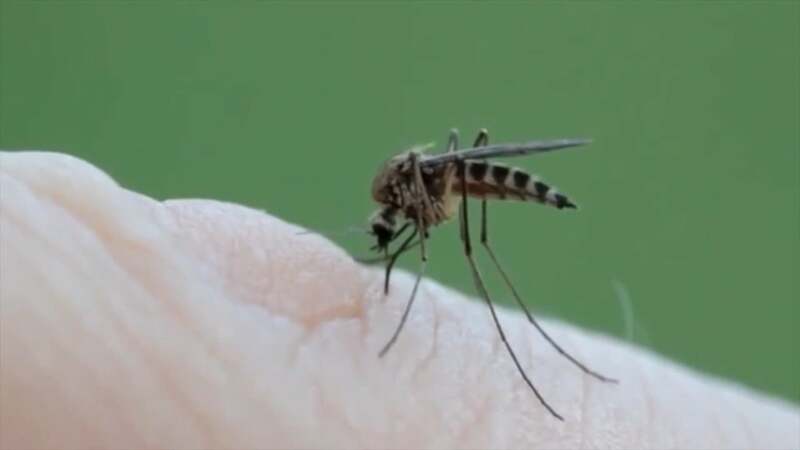 Check out these natural ways to keep bugs at bay. 2. Get rid of fruit flies by setting out a bowl of vinegar and dish soap. 3. Create a wasp trap by filling a jar with 6 oz of vinegar, 2 tbs of sugar and 1 tsp of salt. 4. Keep mosquitoes away by cutting a lime in half and placing cloves all over the soft surface. Cut the bottom of the limes to keep them standing up straight. 5. Spray ants with water and salt to keep them away. The sun just seems to shine a little hotter in the south. While that makes for great front porch sweet tea, it can be hard on the rest of us. 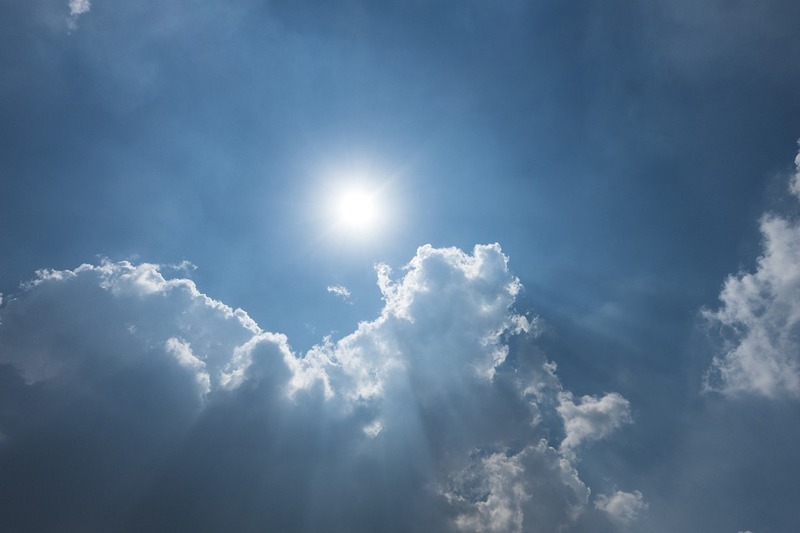 Enjoy the outdoors but keep these tips in mind to protect yourself from the sun's rays. The sun is strongest during the hours of 10 a.m. to 4 p.m. If you find yourself outside during these hours make sure to use protective sunscreen and take plenty of breaks indoors. Look for a sunscreen above 30 SPF that protects against UVA and UVB rays - also known as broad spectrum. Sunscreen needs to be reapplied regularly. Follow the directions especially after swimming or strenuous exercise. Consider wearing lightweight clothing with UV protection built in. Hats are important to keep the sun off your face and neck. Create your own shade when necessary. Bring along umbrellas or a pop-up tent. Don't forget to protect your eyes. Wear sunglasses and encourage children to do the same. Infants are especially vulnerable to sun exposure so make sure they are fully dressed in protective clothing and out of the sun whenever possible. UV rays are present even on cloudy days so don't let the lack of sunshine fool you! Keep up your sun smart protection. Home buying isn't a decision to be entered into lightly. But, if you've done your research, looked at your budget and decided that now is the time - don't miss out by waiting too long! 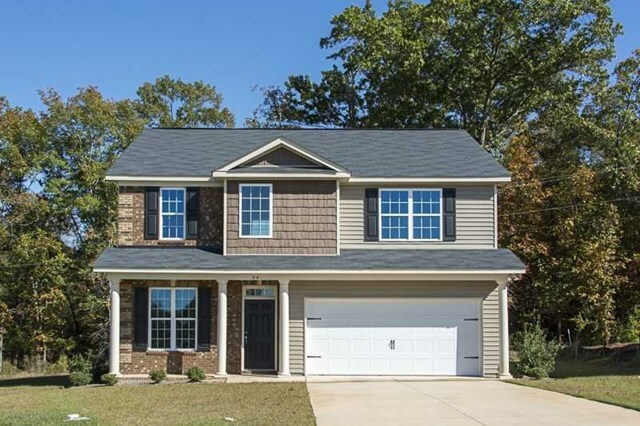 The current housing market has limited inventory and rising prices. The faster you act the more house you'll get for your money. According to the recent research from Realtor.com, low inventory and high demand have pushed housing prices up 10% from last May - with no signs of stopping. Javier Vivas, manager of economic research at realtor.com says this is the "fastest-moving spring housing market in decades". His research shows that homes are selling 5 days faster than this time last year and 2 days faster than last month. If you've found a house you like and don't want to lose - act now. 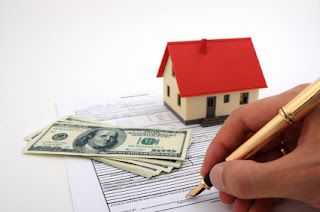 Contact the builder and begin the process of writing a contract and qualifying for a loan. Having a pre-qualification letter already in place from a lender will make your offer quickly rise to the top in a competitive market. Warmer weather and longer days mean summer is right around the corner. As schools let out playgrounds become a great source of exercise, fun, and meet-ups with friends. To really enjoy playgrounds keep these safety tips in mind. According to the Centers for Disease Control and Prevention, over 200,000 children ages 14 and under are treated in emergency rooms for playground related injuries. 20,000 of those are traumatic brain injuries. The most common cause of injury is falling - about 80% of all injuries are related to falls from slides, swings, climbing walls or monkey bars. 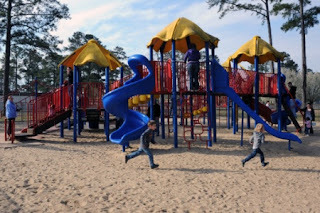 - The ground cover under playground equipment should be one of the following recommended materials: wood chips, mulch, sand, shredded tire, rubber mats or pea gravel. - Look for potential tripping hazards such as tree roots or stumps. - Inspect equipment for possible sharp objects such as bolts or hooks. What can you do at the playground to make it a safe experience for your child? 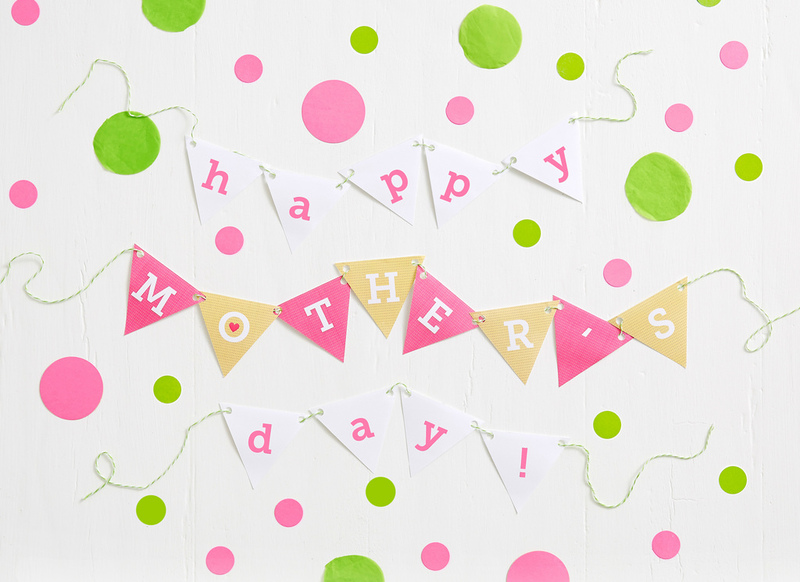 - Dress your children appropriately - tennis shoes or closed toe shoes, no helmets, drawstrings or necklaces. - Actively supervise your child and keep them in your line of sight. - Look at the recommended age range of play equipment and keep younger children on age appropriate equipment. - Keep children who are not swinging away from the swings to avoid getting hit. - Apply sunscreen and keep fluids available. Playgrounds are a great way to enjoy being outdoors - make sure they are done right so you and your family can have a wonderful and safe experience. Shopping for a new home is a big decision. It involves many different emotions and factors - where to buy, what to buy, how much to spend? Once you find the home you're looking for you don't want to have any regrets once the closing papers are signed. This blog can help you learn from some of the top home buyer regrets so you can avoid them and enjoy the home buying experience before and after you move in! According to NerdWallet, who conducted a survey on home buyer regrets found that one of the main issues for home buyers is not doing enough research before the purchase. This includes researching the home, the builder and the financing process. One of the main areas of stress and confusion was repeatedly the process of obtaining a mortgage. Buyers in the survey said the were unaware of all their options, unclear about the process and upset about hidden fees. You can better prepare yourself by meeting with a finance specialist with a list of prepared questions. Research loan options and use online calculators to determine your desired monthly payment and down payment. In a similar study conducted by the real estate website Trulia, home buyers regretted not buying a larger home. 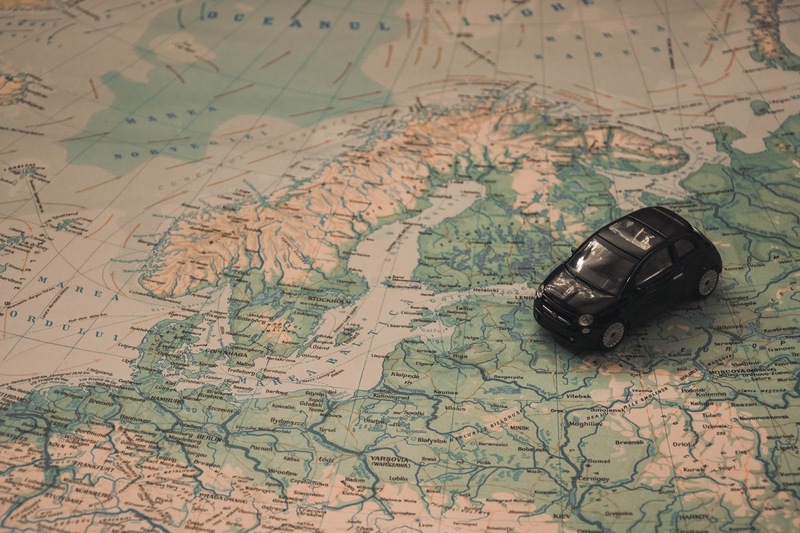 The focus on getting the exact location sometimes outweighed other home options or even the ability to afford a larger home in a different neighborhood. Looking at other locations can provide opportunities for more bedrooms and bathrooms. Another popular regret was not putting enough money down for a down payment. While this may help you get into a home quicker it may result in larger monthly payments or even the need to pay mortgage insurance. A larger down payment can help you feel financially secure later on as you're living in your home and paying the monthly costs. Doing your research can help you avoid these common home buyer regrets and fully enjoy your new home! 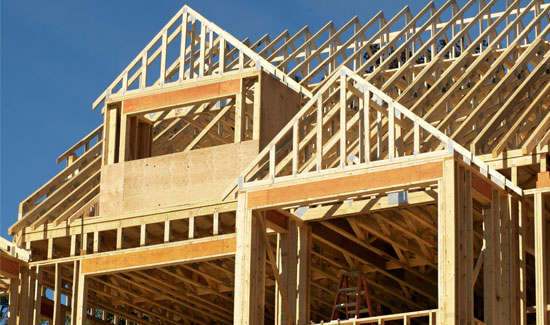 In the home building industry, April is New Homes month! It's a time to educate consumers on the benefits of owning a new home. So what are the benefits? Here's a quick breakdown of why buying NEW is best! 1. New homes are built to the latest standards in building codes which means newer homes are more energy efficient than older homes. 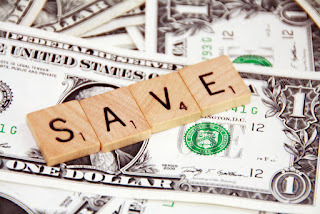 Save on your monthly utilities! 2. New homes are built with today's buyer in mind - open floorplans, more outlets, phone charging stations and more! 3. New homes offer more safety features than older homes including smoke and carbon monoxide detectors and low or no VOC paints. 4. New homes require less maintenance than older homes and come with a home warranty for your peace of mind. 5. 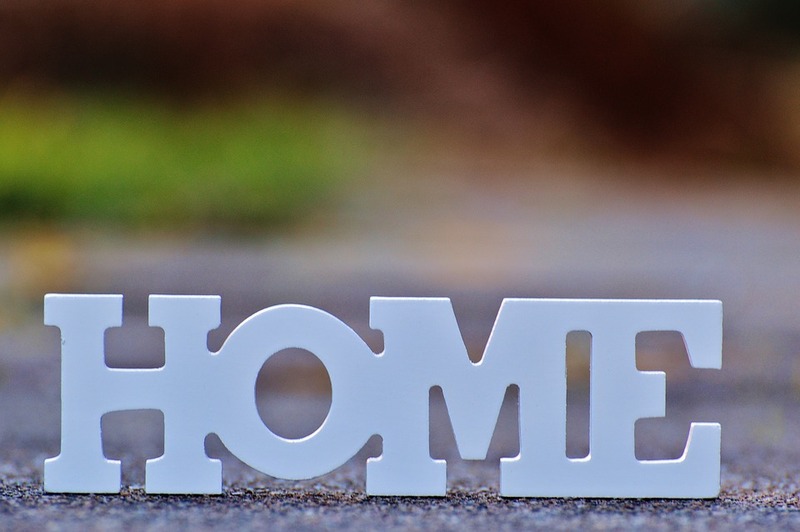 New homes offer the opportunity to personalize your home before you move in. Give your new home a touch of your unique style and flair! Why would you be interested in buying a new home? In light of the recent bouts of severe weather it is important to establish a plan of preparedness before inclement weather arrives. 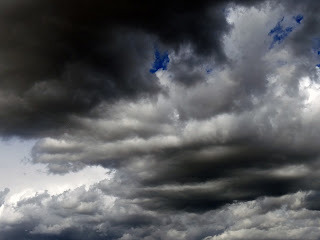 Spring is a volatile season and can bring heavy rains, strong wind and occasionally the threat of tornadoes. Peak tornado season in the south is March through May. Here are a few ways you and your family can prepare for dangerous weather conditions. - Understand the terminology. A tornado watch means that conditions are such as a tornado could appear. A warning means that a tornado has been sighted either on the ground or by radar. With a tornado warning take shelter immediately. - Develop a communications plan. Talk with your family about what to do during severe weather before it happens. Decide where to go when tornadoes are threatening and where to find emergency supplies. - Have an emergency kit. Create a kit with items such as flashlights, bottled water, a NOAA battery powered radio, flares and first aid items. - Choose a safe space in your home. The best place to be during a tornado is in an interior room on the first floor with no windows. This may be a half bathroom or closet. - Be aware of your surroundings. Monitor the weather and take the threat of severe weather seriously. Understand school closing policies and have emergency contacts available to help if needed. One of the great things about buying a new home is making that space feel like you - your style and taste. You can really put a stamp on your new home's decor with area rugs. Here are a few tips to keep in mind when shopping and placing area rugs in your new home. Look at your room and the goal you have for the rug. Is it to be placed under a dining table? Is to bring together an open space or define a small space? There are many resources available online that can provide visual ideas for rug sizes and how they make a room look and feel. Measure your space and mark out where your rug would go using tape or a bed sheet. Typically, round rugs work with round dining tables and rectangular or square rugs work in living areas. Runners are great for the foyer and can help bring together two living spaces. 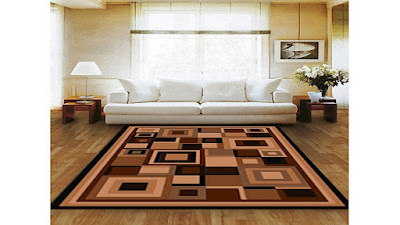 Wool rugs are the most traditional make of area rugs. 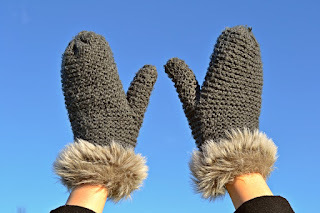 Wool is soft, durable and holds up against stains. It tends to be a little more expensive and can be subject to fading from the sun. Cotton rugs are a good choice for casual spaces but may not wear as well over time. 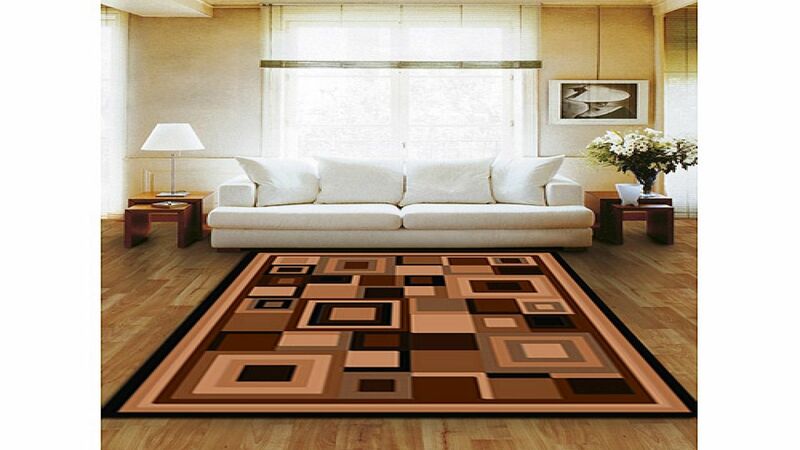 Synthetic rugs are composed of man-made materials designed to mimic the look of wool rugs. 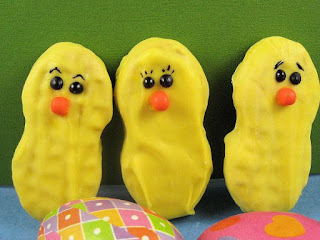 They are a more affordable option though may not be as plush as their natural counterparts. Think about where your rug will be placed before choosing a color. If you have small children or pets, white or very light color rugs may not be a good choice. Dark colored rugs hide stains better and may be a good choice for a dining area. Light colors will make a small room feel bigger while rooms with lots of natural light can take cooler or darker color rugs. Your rug does not have to be an exact match to your furniture. Think of a color scheme or family of colors that you want to use in your home and go from there. What tips do you have for choosing the perfect area rug? This Easter, surprise your loved ones with cute and tasty treats - without spending hours in the kitchen! Try some out with your family this holiday! Spice up your sugar cookies with a little icing and sugar eyes. Create delicious ducklings and bunnies! Wrap up some goldfish with plastic and ribbon to create colorful carrots! 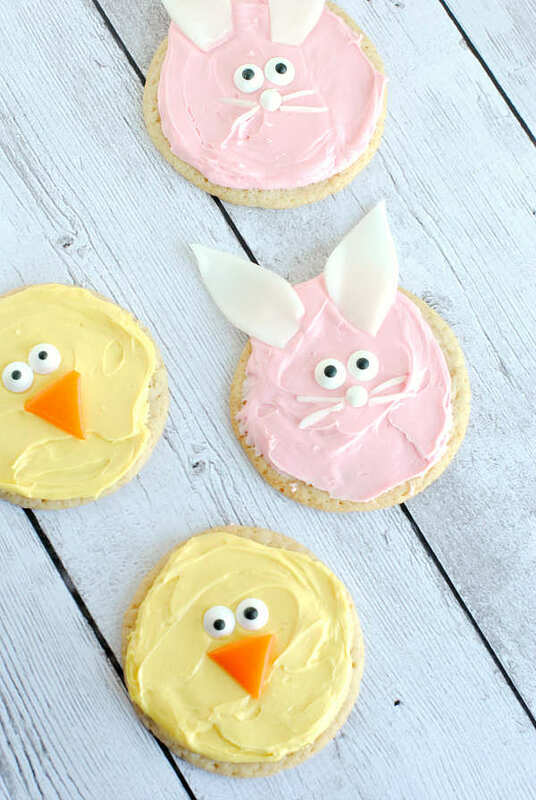 Dip Nutter Butter cookies in icing and decorate for adorable and crunchy chicks! Top Reeses Pieces with icing and candy eggs. 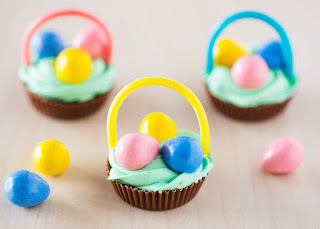 Top with gummy string to make a delicious Easter basket! It's spring break season and while you may have already created a packing list and found a sitter for the dog, you may not have thought about how you can keep your home safe while you're away. There are a few simple things you can do to protect your home and belongings while out of town. Use our checklist below to help you stay on track. 1. Don't advertise your travel plans on social media. You're excited about your trip but wait to share with the world until you get back. You never know who may see your post and it could be someone without the best intentions. 2. Use your neighbor as a resource! Ask if they'll occasionally park in your driveway and if they'll move your trashcan away from the street after pick up. It's good to have a trusted friend keep an eye on the house and let you know if anything seems amiss. 3. Contact your local resources such as the post office to hold your mail and the police to do a vacation check while you're away. 4. If you have an alarm system alert the company that you'll be away for an extended period. Don't leave any valuables out in plain sight and double check that all the doors are locked before leaving. 5. Put a timer on your electronics to have your outside lights go on at night (without staying on all day). Some can be controlled by your smartphone or your alarm company. What tricks do you use to keep your home safe while you're away? Spring is peak home buying time and all indications point to a busy season already underway. This means that if you're serious about buying a new home you need to set yourself apart from the competition and act fast when you find just the right home. To do this - get pre-approved before you start home shopping. A pre-approval letter is obtained from a mortgage company before you have a specific home in mind. You'll provide some basic employment and income information and the bank will run a credit check. Once this is complete you'll receive a pre-approval letter with an amount the bank is committing to loan you. So what does this mean for you as a buyer? Be aware that a pre-qualification letter is not the same as a pre-approval letter. A pre-approval letter is a firm commitment of a willingness to lend up to a certain amount. 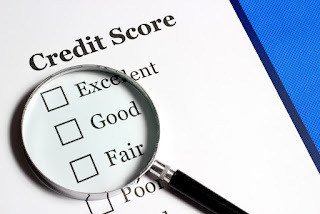 Be sure to specify what you are looking for when you talk with your lender - and happy home buying! You've searched for just the right home. It's almost complete and moving day is right around the corner. Then reality sets in. You have to pack and move! 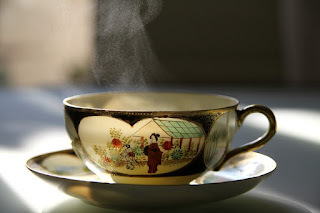 While this ranks as one of the major stressors in life there are ways to make it easier. Plus always remember your end goal - your brand new home! Here are a few tips to make moving easier. 1. Label, label, label - write down what is going in to each box and which room it should be delivered to. Use color coordinating stickers for extra help. 3. Look for free moving supplies. Check grocery and liquor stores for free boxes. 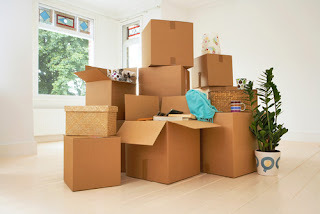 Ask friends who have moved recently if they have any boxes left. Use t-shirts and towels to wrap fragile items. 4. Move your hanging clothes with ease by using a trash bag. The clothes will stay together and you can just place them right back on the rack. 5. The heavier the item the smaller the box! Pack weighty belongings in smaller boxes to make transport easier. Use suitcases with wheels for items like books or tools. What tricks do you use to survive a move? Remember, your new home is worth it!